My son sat his GCSEs a few years ago now, and I can remember what a stressful time it was for him, and for us as his parents. 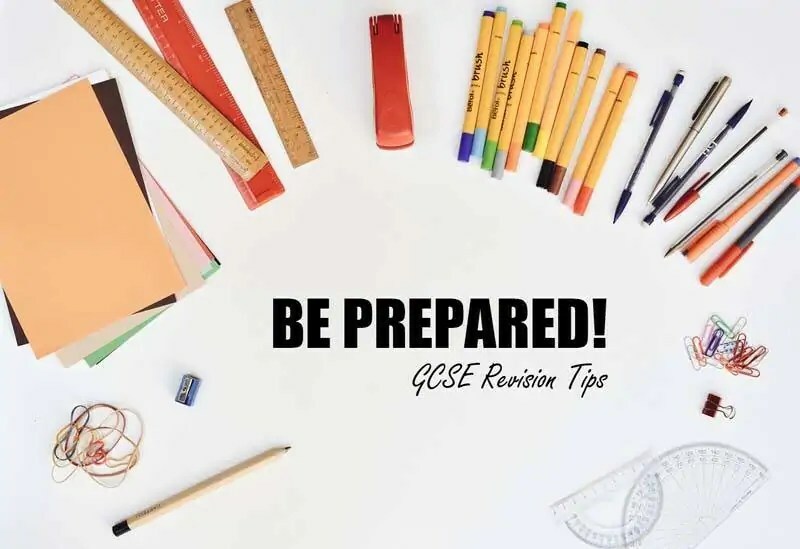 I shared these GCSE Revisions Tips for Teens and their Parents when he was doing his exams, and I know that they provide a wealth of information that teenagers (and their parents will find useful). I’m not alone in this feeling, as many of you reading will have children that are going through their GCSEs which brings a lot of stress and meltdowns for teenagers. I’m trying to think back to when I was in school, taking my exams (1993) and if I felt the pressure like kids these days seem to have. I don’t remember having much of a revision plan, other than reading through my books and making notes on index cards, highlighting stuff and completing past papers. I was the sort of kid who didn’t have to try too hard to get good grades, and I walked away with 9 A-C GCSEs. One big difference between then and now is I didn’t have the distraction of video games, the internet and social media, nor the pressures that seem to fall on teenager’s shoulders these days. My son, has always been an ‘about average’ student, maths has never been his strong point (neither is it mine), but his school reports over the years, as well as talking to his teachers at report evenings, have always told me that he’s doing okay, participates in class and is well-behaved. His predicted GCSEs were good, so it was a shock to us, and his teachers, when he didn’t do so well in his mock GCSEs last December. Some people do not do well in exam situations. Nerves get the better of them, or their brain just shuts down. I believe my child is exactly that type of person, and this is where I feel like standardised testing fails children. But that’s a post for another time. For now, I have to get my son through his GCSEs, with the least stress as possible, and the tools to do the best that he can. I know that he can read, write and do maths. I know he has a good understanding of the subjects that he loves – history, especially; so I’m not putting masses of pressure on him to get As, or even Bs. If he can get a C across the board, in the important subjects – English, maths and science, and in his favourite subjects, then I will be a happy parent, and he will have options open to him for further education. When it comes to our children, we all want what is best for them, and during this important time of their education career, they need the support at home as well as in school. 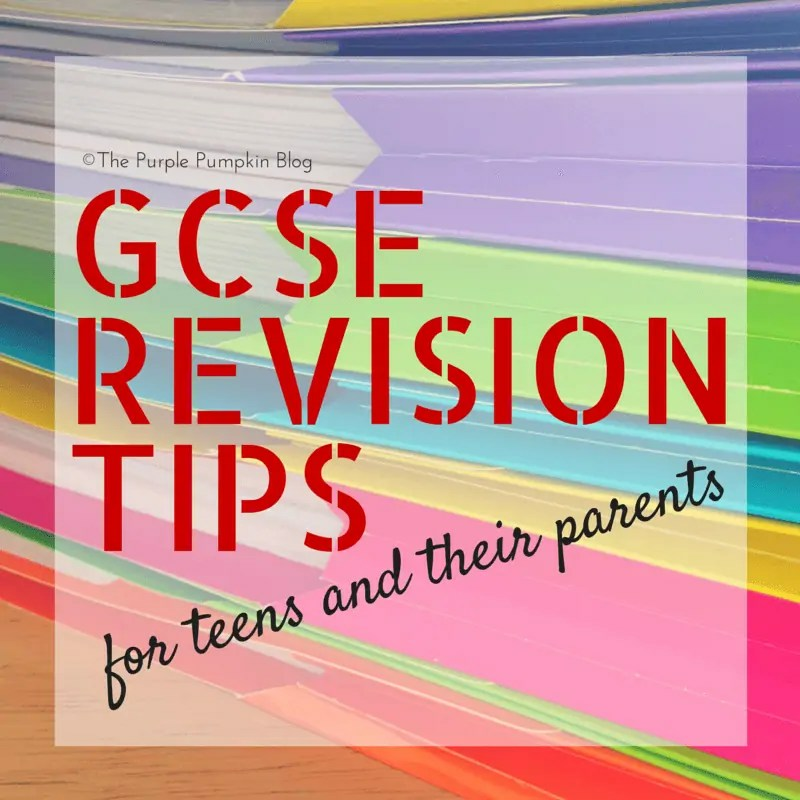 So I’m going to start with some tips for parents to help your child(ren) through their GCSEs. Be optimistic – a positive mind leads to a positive outcome. Use positive encouragement – don’t dwell on the errors. Be a model of calm – kids are already pressured at school. Try not to refer how you or their siblings revised – we all work differently. Give them space – they need to take breaks and get away from the books. If in doubt, contact the school – they are there for support. It’s never too early, or too late – students who revise know more than those who don’t. Turn your time over to revision – switch off your phone, TV, music etc., your education is worth your full attention. Spread your subjects out over time – you can then cover each one several times. Do the harder things first – your brain is fresher and you will absorb more than leaving it till last. Take breaks – get some fresh air, go for a walk, do something else. A 20 minute break every 90 minutes is about right. STOP: don’t burn out – if you’re starting to feel frustrated, angry or overwhelmed. Make a note of what the problem is and take to your next lesson to ask your teacher. Reward yourself – after a revision session do something you enjoy, you deserve it after your hard work! Focus on what you have done – and not all the things you haven’t. Drink water and eat ‘brain food’ – avoid sugar and have healthy snacks to keep your mental energy up. Give yourself a day off – you can try and study on the weekend, but make sure you give yourself a clear day off from revision. Where you decide to do your GCSE revision will impact on how much revision you actually do. Work station – make sure that the desk or table that you work at has good light and good ventilation – both will help you to stay more alert. Remove distractions – that will prevent you from focusing your attention. That means turning off your phone, not going on social media, turning off the TV or music player. You may think you can study just fine with music on, but the reality is, you end up singing along and that’s no good if you’re trying to remember facts and figures! If you have to listen to something, make it instrumental, and have the volume turned down so it’s a background hum. Organise your work – you will be studying several subjects, so you need to organise all the work material you have. Set up folders or files on your desk with one for each subjects. Have your text books stacked neatly so that they are in easy reach. Make sure you have all the stationery you need – pens, pencils, a ruler, sharpener, eraser are the basics. You will probably need a protractor, compass and calculator for maths. Other handy stationery items are Post-It notes, index cards, paper clips and highlighter pens. Create a revision diary – I’ve created a free revision diary printable for you to download and print at home. I’ve left it blank so you can fill in your own day/date and times. Allot subjects to different times of the day, and write down what activity you plan to do. Having a structure to your revision will help you focus your time. Share your diary with your parents or relatives who have already been through their GCSEs, they may be able to help you. Create an exam timetable – you will have been given a list of dates and times for your GCSE examinations. Write them all out on a calendar so you can see them all clearly, and structure your revision around those dates. You can use any calendar you like, but I’ve also got a free printable calendar that you can use. Visual learner – do you like colour, images, and shape? Auditory learner – do you respond to sounds and noises? Rote learning – a memorisation technique, based on repetition. Past papers – your school can provide you with these – write in pencil so that you can erase, and re-do. Invent and learn mnemonics – e.g., Richard Of York Gave Battle In Vain for the colours of the rainbow (red, orange, yellow, blue, indigo, violet). Use online resources such as BBC Education and buy revision guides (your school may sell them). Make flow charts, diagrams and drawings. Make your own podcasts and listen to them. Go to after school revision classes. Make mind maps and put them on your wall. At the end of the day, bullet point the the things you have learned and read it the next morning. If you are a teen going through your GCSE exams, or are a parent of one, I hope you find these tips and tools helpful. The very best of luck in your exams! Wild At Heart / Project 365 : 2017 – Day 99	The Results Are In! Ocean Florida’s Ultimate Disney Survey! I am doing my mock at the moment and I’m doing my GCSEsin May and June so this is really helpful. I can do all the work in lessons and at home but at soon as I get in a test I go blank I hate tests and exams! Hopefully these will go OK with your amazing ideas and help. Good luck with your mocks and your GCSEs – come back and let me know how you got on! It is scary for them. And for us parents too – we want our kids to do well, but don’t want them to feel like failures if they don’t get the grades. Liam has just gone to some revision classes at school (he’s still on Easter hols) and he’s there all day. Hoping this extra time will help him. My daughter did her GCSEs last year and it was stressful. I tried not to pressurise her because I think that kids are under too much pressure at school these days. Fab tips and I love all your free printables. Glad you’ve found it useful. I’m making my son read this later when he gets home. He needs a reminder!